Thus does Michael Simmons, artists’ agent, begin the story of the disappearance of client and friend Maggie Turner. Maggie was a talented student, painting watercolors in an expressionist style. Discovered by Michael, she drops out of college to paint full time. She becomes fairly well-known, her paintings selling. Then she meets the wrong kind of man and ends up hospitalized. Michael suggests she get away to recover and forget. That’s when Liz brings out the homemade Ouija board. No one knows how to use it. They blunder along, laughing, accusing each other of cheating, until they receive a message in Gaelic, from someone called The Master. “For a minute, there was no sound. Then we became aware of a noise coming from across the room. Using the Ouija board is a mistake and they all know it. It spoils the rest of their stay. Once they leave, Michael and Alison begin seeing each other but everyone loses contact with Maggie. They hear from her less and less. Then they realize they haven’t heard from Maggie for quite some time. They return to the cottage to find it in disrepair. Maggie is there but she’s changed, as neglected as her home. She paints but destroys her creations once they’re finished, more consumed with her surroundings than in painting anything lasting. Assured vehemently she’s all right, Michael leaves, against his better judgment. He never sees Maggie again. He wonders, did they translate the Master’s request correctly? That’s when he realizes something has followed him from the cottage. Never tamper with a Ouija Board. Anyone who’s seen any of the recent spate of Ouija Board horror movies knows this. The Dead House is a good example of what happens when this warning isn’t heeded. With an insidiously delicious eeriness creeping into Michael’s description of Maggie’s enthrallment by the cottage and surrounds, the horror builds slowly. No screaming haunts or blood-spattered attacks, it bursts full force upon them when she invites in The Master and proceeds to narrate his story. After the reader is lulled into a sense of safety by descriptions of the country’s beauty and Maggie’s happiness, the presence of evil comes as a shock. Her later disappearance and the destruction of the cottage preventing anyone from undoing the harm done by their misadventure with the Ouija board makes Michael realize the danger didn’t vanish along with Maggie. As always, when such a story is told in the first person, it makes the sense of fear even more tangible, intimate, in a way. The landscape in that part of Ireland—wild but nevertheless peaceful—contrasts vividly with the tragedy happening historically. Michael’s ignorance of the danger even after so many years have passed is withheld until the very end, revealing how far-reaching evil can be. 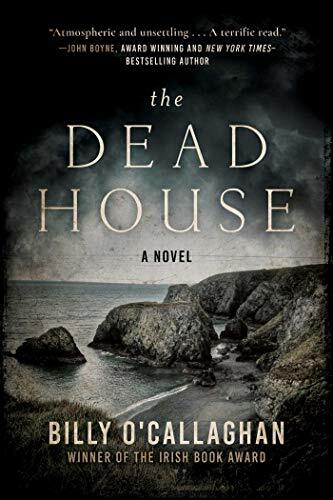 The Dead House is a subdued chiller relating how death brings a circle of events to a halt, only to begin once more when a spirit regains admittance into the living world. There will be more than a few goosebumps raised before the reader finishes this one.